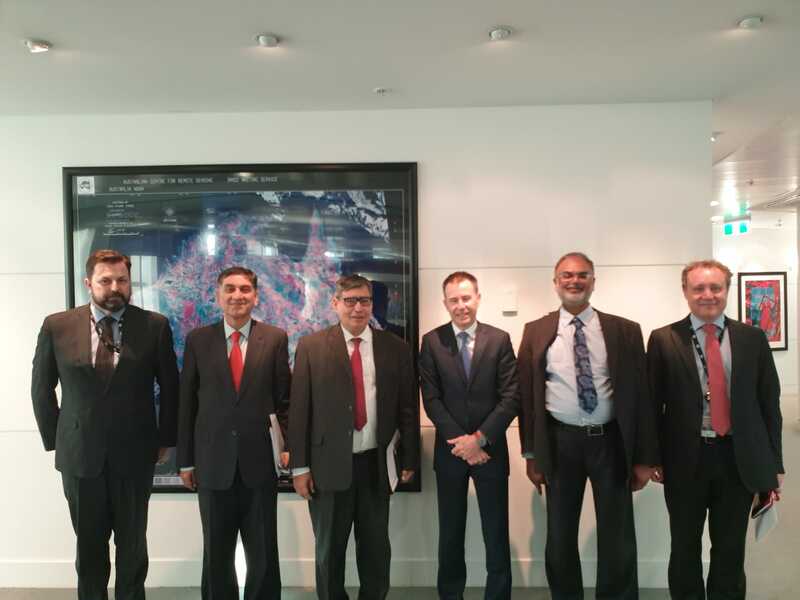 Mr. Imtiaz Ahmad, Special Secretary (Asia Pacific), Ministry of Foreign Affairs of Pakistan held a meeting with Mr. Richard Maude, Deputy Secretary (Indo-Pacific Group), Department of Foreign Affairs and Trade of Australia. The Special Secretary was assisted by High Commissioner Babar Amin and DHC Khalid Ejaz, whereas DS Maude was joined by the DFAT’s South and West Asia team. The two sides discussed bilateral, regional and multilateral issues of mutual interest. Some of the prominent areas of discussion included trade, economic and agriculture cooperation, people-to-people contacts, sports and cricketing ties, FATF, NSG, peace and security in South Asia in the backdrop of recent spate in tensions and the strategic stability of the region. Both sides expressed satisfaction over the close friendly relations between them and agreed to continue regular contacts at various levels on all the areas of mutual interest.